BHEL Chennai Recruitment 2018-2019 Application Form for 25 Executive, Supervisor Posts Apply Online through Official website www.bhel.com. Bharat Heavy Electricals Limited Interested and Eligible Candidates are requested to Apply Online through last date for submission of applications is 01.02.2018. BHEL Chennai 25 Executive, Supervisor Job Posts BHEL Chennai pattern of examination, Syllabus, Question Paper, Admit Date Release Date, Exam Date, Result Date etc. the stipulated criteria before Applying Now Online. Executive (FTA-Civil) - Full-Time Bachelor’s Degree in Engineering/Technology in Civil Engg. OR 5 Year Integrated Master’s degree OR Dual Degree Programme in Engineering or Technology in Civil Engineering from recognised Indian University/Institute with minimum 60% marks in aggregate for General / OBC and 50% marks in aggregate for SC/ST candidates. + Minimum of 5 Years’ post qualification experience in the following area: Execution of Civil and structural works at Power Plants, Refineries and Large Scale Industrial /Infrastructure Projects. Experience in Project Management of Civil. Outstanding People Management and Project Execution capability. Focus on Time and Resource Management. Good Computer knowledge/skills. Supervisor (FTA-Civil) - Full Time Diploma in Civil Engineering from a recognised Indian University/Institute with minimum 60% marks in aggregate for General / OBC and 50% marks in aggregate for SC/ST candidates. + Minimum of 5 Years’ post qualification experience in the following area: Supervisory Experience in execution of Civil and structural works at Power Plants, Refineries and Large Scale Industrial /Infrastructure Projects. Experience in Project Management of Civil. Outstanding People Management and Project Execution capability. Focus on Time and Resource Management. Good Computer knowledge/skills. For consideration, eligible candidates will be invited for Personal Interview in the ratio of 1:10 to the number of vacancies. In case of receipt of more no. of eligible applications beyond the ratio of 1:10, a written test will be conducted at Chennai to shortlist the candidates in the ratio of 1:4 and Personal Interview will be conducted for the shortlisted candidates. All candidates are required to pay a Non-Refundable Processing Fee of Rs.200/- by means of a Bank DD drawn in favour of BHEL, PSSR payable at Chennai. However, SC/ST and Physically Challenged candidates are exempted from paying the processing fee. Duly filled-in and signed application form downloaded from our website www.bhelpssr.co.in or http://careers.bhel.in with requisite documents including Demand Draft or SB Collect payment acknowledgment printout (as the case may be) to be enclosed and photograph pasted are to be sent to the following address so as to reach on or before 01.02.2018 and from far flung areas by 08.02.2018. BHEL will not responsible for any postal loss / postal delay in receipt of application. 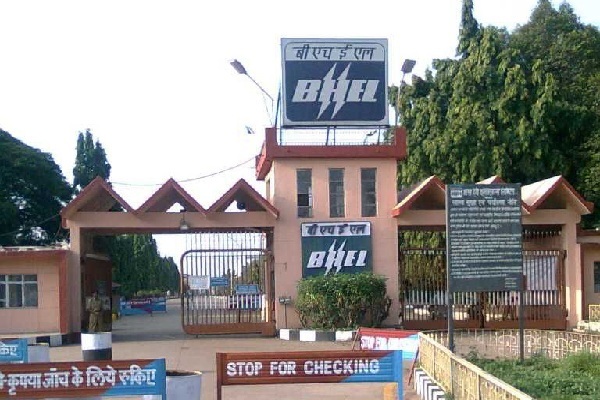 Bharat Heavy Electricals Limited has released notification for BHEL Recruitment 2018 on its official website. Department has total 250 Graduate and Technician Apprentice Vacancies.